Are you struggling to stay on top of multiple medications and supplements throughout your day? Or maybe your doctor has asked for daily details on your symptoms? Do you miss treatment appointments, or have problems juggling all the details? If you need space to log your steps, moods, hours of sleep, blood sugar levels, or even foods — we’ve got you covered! – Owner’s Info page with room for doctor info, personal data, emergency contacts, allergies and more! – Two pages for Condition Details, room to list six per page. – Four pages of Medicine and Supplement Records, six per page. 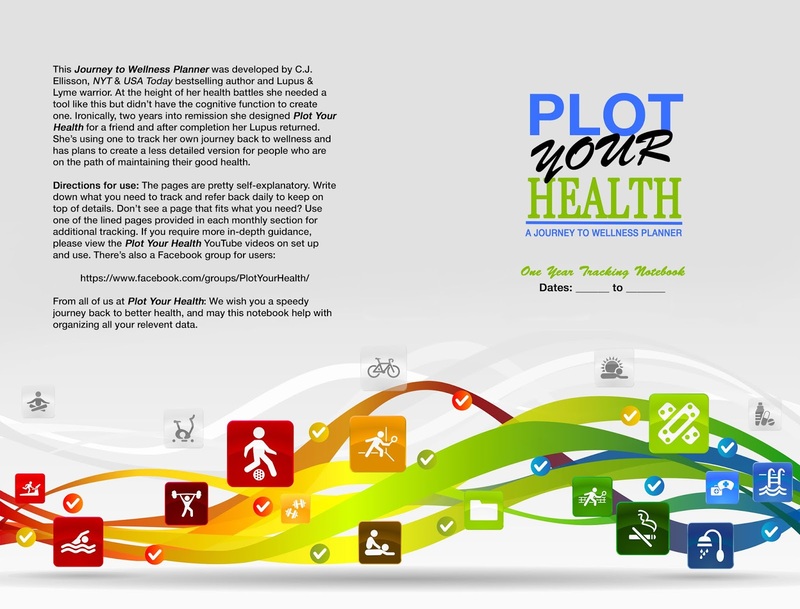 – Four pages for tracking test results, scans, and blood work throughout the year. 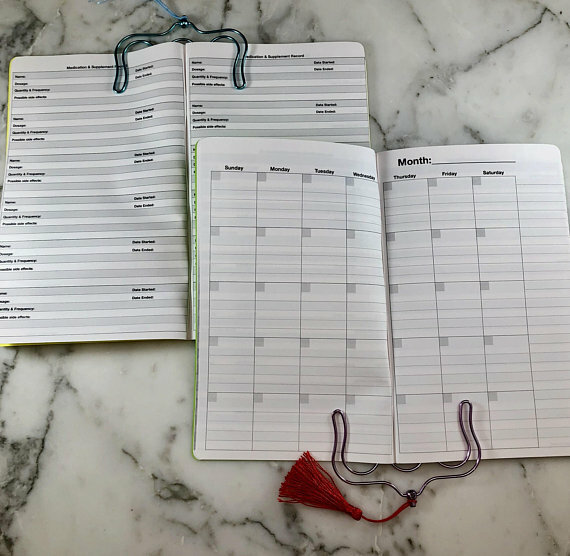 Two-page Symptom trackers, each with room to track twenty symptoms for an entire month. 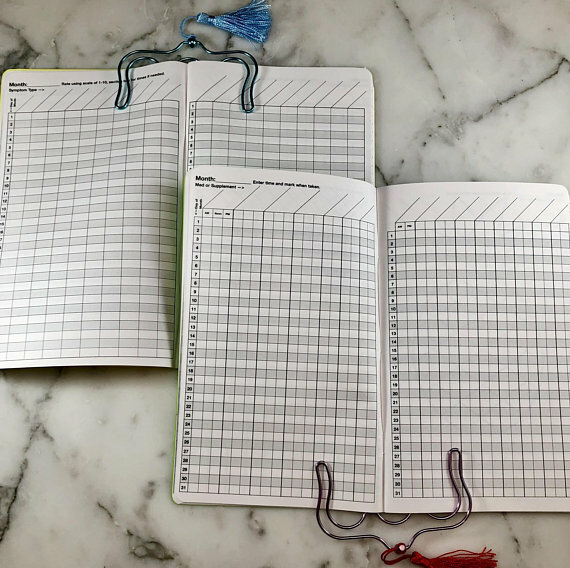 Additional two-page grid for tracking sleep, food, blood pressure, habits, blood sugar, oxygen levels… pretty much anything you need! 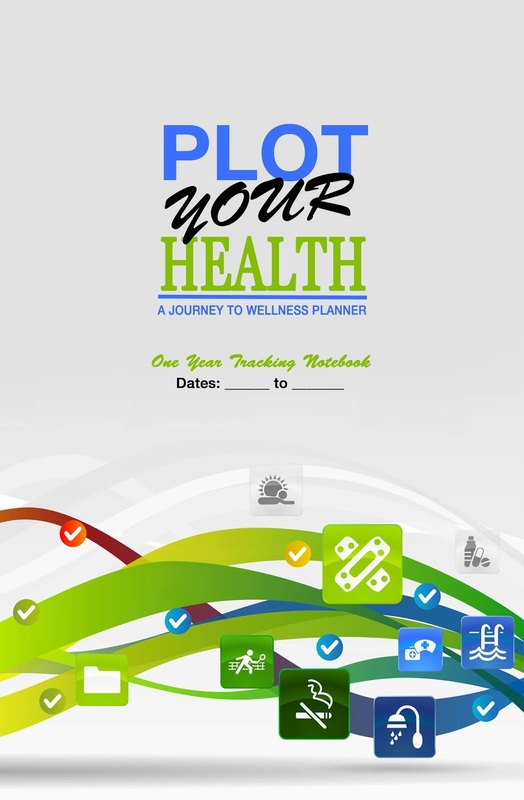 Eighteen spaces to track for each month. C.J. 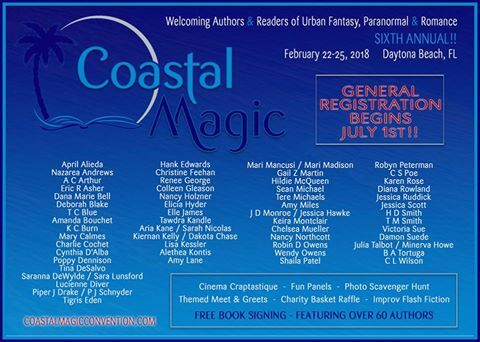 Ellisson is a NYT and USA Today bestselling author who writes urban fantasy, mystery, romance, and has ventured into non-fiction with Plot Your Work, the Writer’s Project Planner and Plot Your Health, a Journey to Wellness Planner. She lives in northern Virginia with her husband, two teenagers, three dogs, and two cats—reporting to love the energetic zoo that’s become their home. C.J. 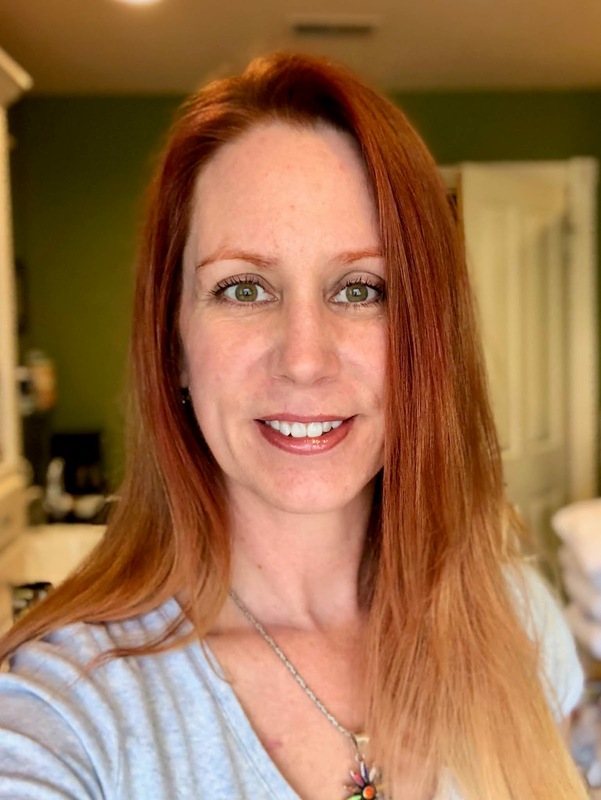 turned to writing in 2009 when she could no longer work outside the home due to chronic illness and claims the escape of writing fiction helped save her sanity. A self-proclaimed Lupus and Lyme Warrior, she is working toward getting stronger, putting her Lupus back into remission, and staying healthy. Color me impressed. Not just me but my doctors as well. 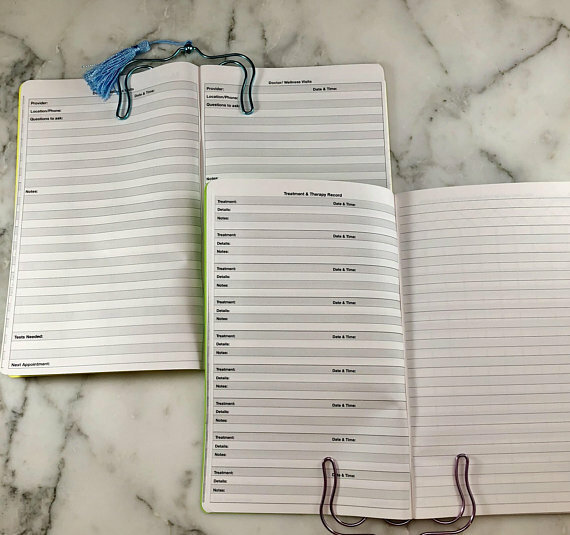 This handy little planner fits easily in my purse and covers a multiple of needs. I’ve been extremely ill the past few months so I’ve had a chance to thoroughly put it through its paces. The ability to track multiple items, such as medications taken, various symptoms, blood glucose levels, insulin taken, carb intakes, and such have allowed my doctors and me to recognize patterns and adjust my treatments accordingly. I’m still discovering different uses for the various pages in the planner. I found that I needed more pages for doctor appointments. I used up all the well-visit pages, as well as all the blank lined pages. But that’s where being able to join the Facebook group and tell the author what you like and don’t like is invaluable. I would like a page to note when appointments beyond the three months are scheduled. All-in-all I was very happy with the results and plan to buy more for the future.